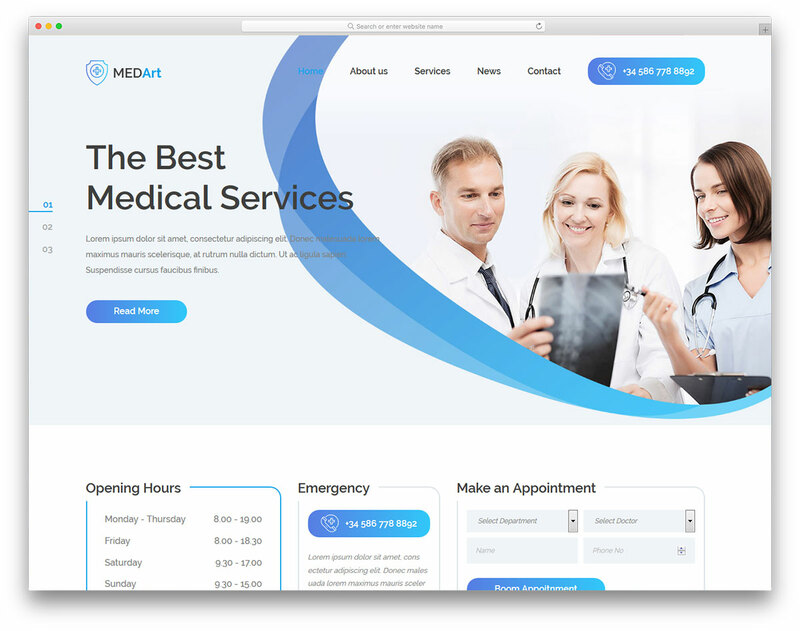 Take things into your hands with Medica free health and medical website template. 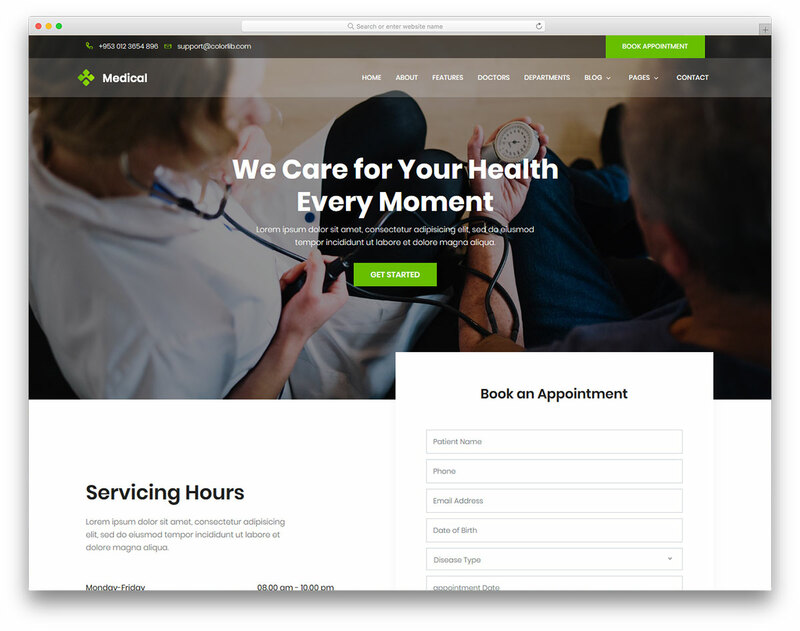 It is a Bootstrap Framework template what makes it 100% responsive and uncomplicated to use and maintain. 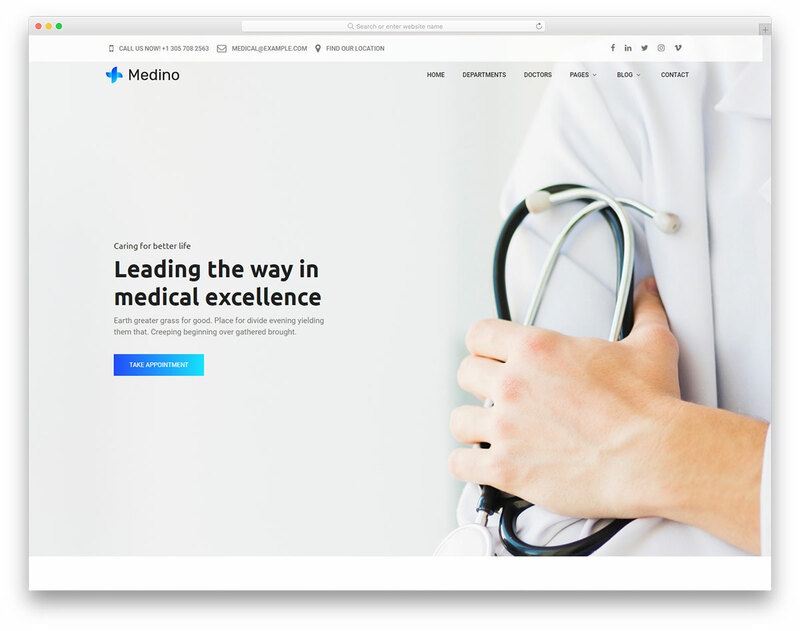 No matter the niche or a general pharmaceutical website you plan on building, Medica makes it smoothly adapt to any screen resolution. 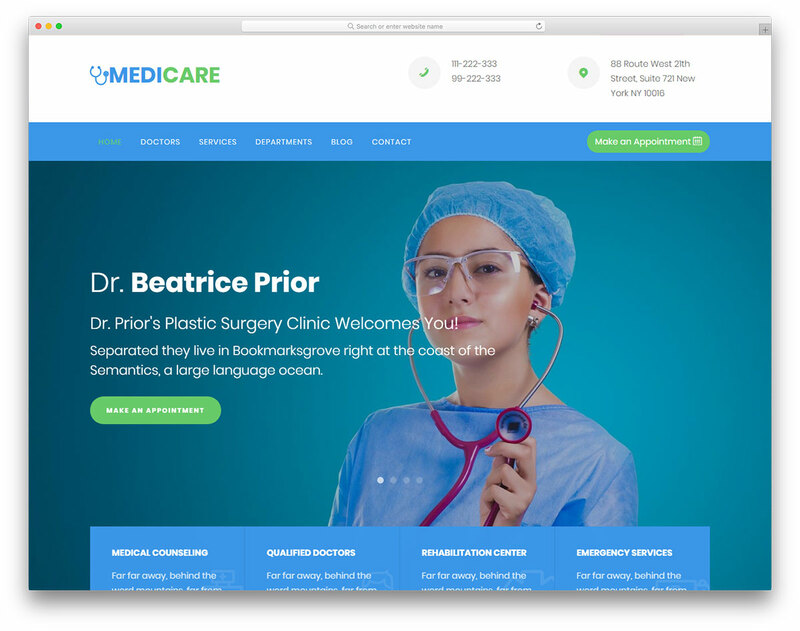 You can use the template for plastic surgery, doctor, hospital, health, dentist and almost any other website. 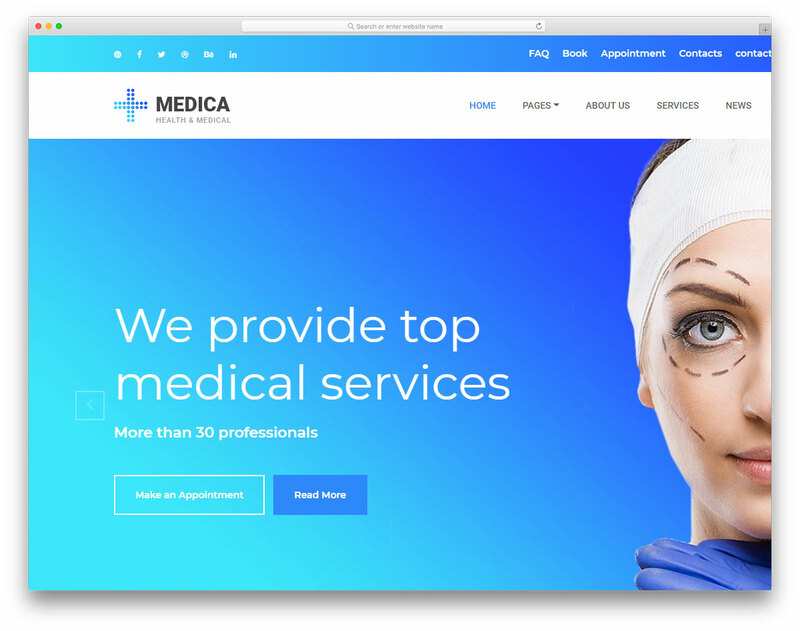 Medica is a versatile tool that you can easily modify and tailor to your needs. 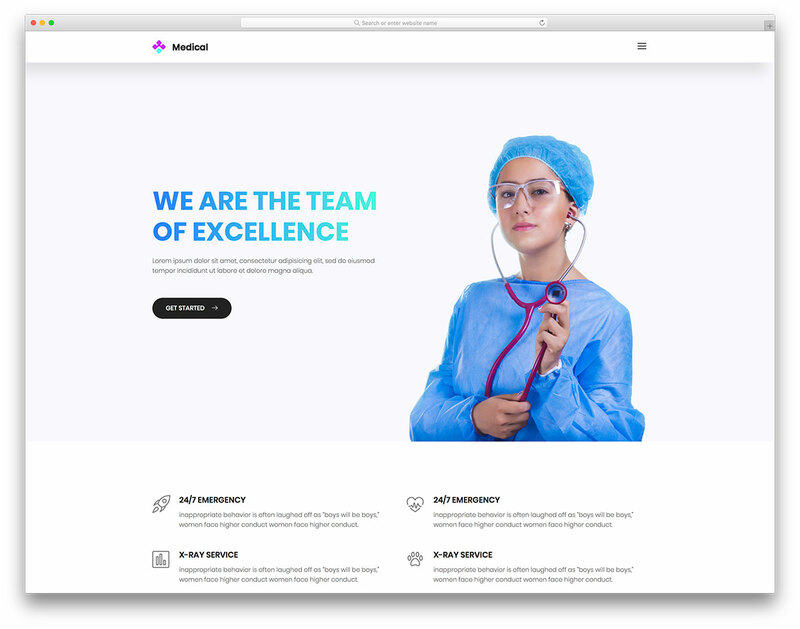 Instead of starting from the ground up, pick Medica free website template and you are closer than ever to owning a professional and fully working website. 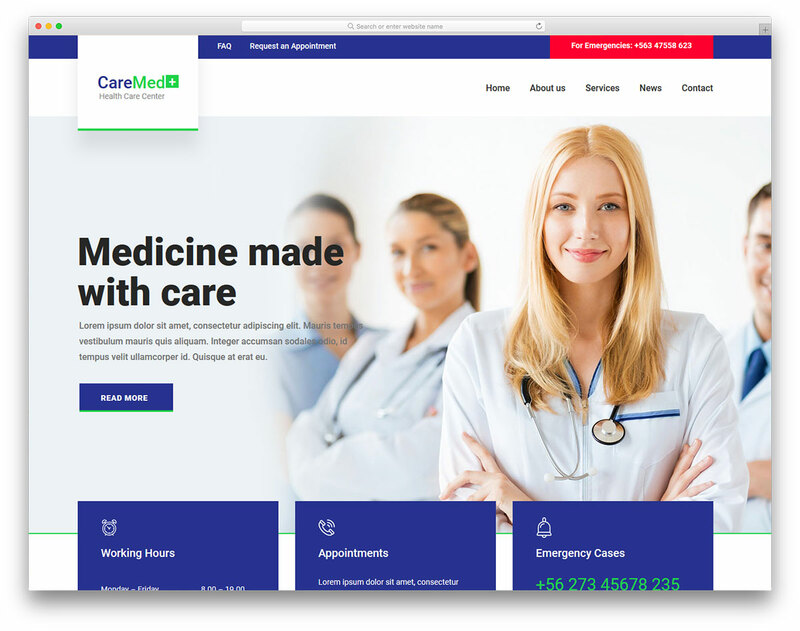 Integrated contact and appointment forms, doctors introduction, testimonials and exclusive inner pages for a cutting-edge medical website. I don’t see any issues with the template on iPad or iPhone. That’s interesting. What version(s) of iPhone? I first experienced these issues with my (very slightly) modified Medica template. I’m now testing using the preview at https://colorlib.com/preview/theme/medica/ on my iPhone 5c, and I’m getting the same issues. The scroll jumps in reverse sometimes and gets stuck/pauses when scrolling over images. Thanks for informing me about the support forum. I’ll post over there as well.